Dr. Thierry Guedj, BostonJobDoctor’s founder, has shown that his career and executive coaching clients can achieve amazing results through a mix of introspection, honest feedback and expert advice. As a career and executive coach, BostonJobDoctor offers a straightforward advising process that works best for individuals (and teams) who are eager to learn new skills and wish to neutralize the roadblocks that are getting in the way of their success. BostonJobDoctor has assisted hundreds of professionals like yourself achieve their personal and professional goals. By choosing BostonJobDoctor as your trusted adviser, you too will be able to create great new opportunities for yourself and achieve goals you had only been dreaming about. .
Thierry Guedj, Ph.D., is a psychology of work expert. He frequently speaks to professional groups and the media about careers and leadership. 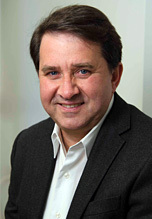 Dr. Guedj also has worked in a variety of senior management positions in healthcare, academia and financial services. His typical client is a high-achieving professional or executive who lives and works in the Greater Boston area, including Arlington, Boston, Brookline, Cambridge, Natick, Needham, Newton, Somerville and Wellesley, as well as the North Shore and the South Shore.